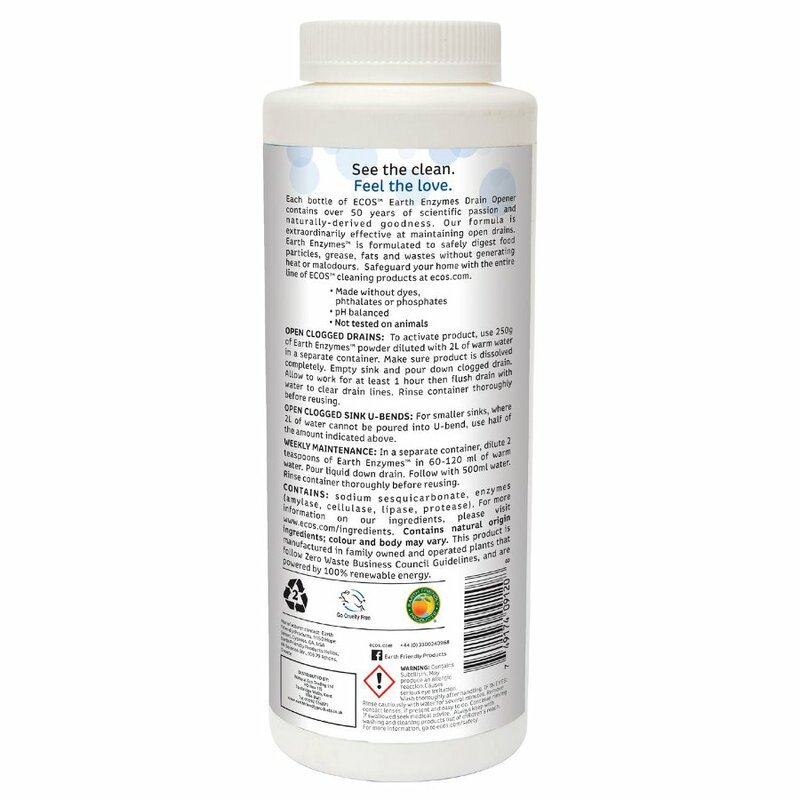 A natural alternative to dangerous chemical based drain cleaners. Breaking down organic substances using enzymes similar to how your stomach digests food! Effective against food clogs and the build up when soap and grease combine with hair. To open Clogged Drains: Mix 500ml Earth Enzymes powder diluted with 2 Litres of warm water. Pour down affected drain and leave for up to 24 hours. Sodium sesquicarbonate, enzymes(amylase, cellulase, lipase, protease). 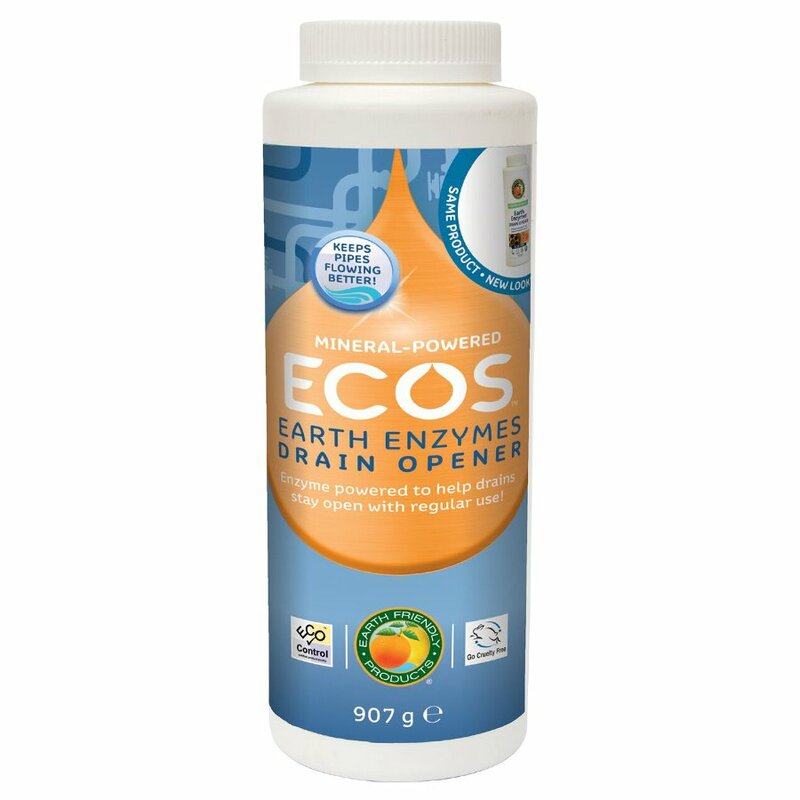 There are currently no questions to display about ECOS Earth Enzymes Drain Cleaner - 907g.